A letter signed by Andrew Jackson in 1795. 2017 marks the 250th anniversary of his birth. “We’re very excited to offer these historical documents in the Worthington collection,” Keever said. Worthington Galleries is proud to announce the acquisition of two rare documents signed by Andrew Jackson, the seventh president of the United States. The correspondences offer an extraordinary glimpse into Jackson’s time as a young attorney in Nashville and later as a celebrated general just weeks after claiming victory at the Battle of New Orleans in 1815. Jackson, or “Old Hickory” as he was fondly nicknamed, was a pioneer, attorney, merchant, judge, farmer, war hero, and politician from Nashville, Tenn. Born March 15, 1767, this year marks the 250th anniversary of his birth. 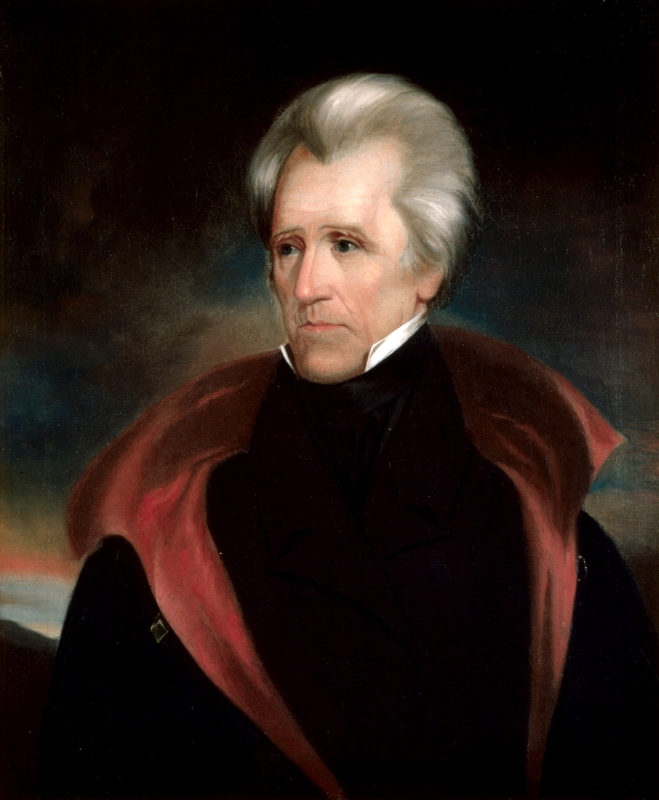 Jackson served as president from 1829-37. Jackson was a 28-year-old merchant and attorney practicing law in Nashville and surrounding area when he wrote the first letter, dated Oct. 2, 1795. The letter appears to be addressed to a man by the name of ‘Markum’ or ‘Markham’ McGee. It’s believed to be the earliest signed letter of Andrew Jackson’s sold at auction in four decades. Jackson offers frank advice in the letter to help settle a dispute between two men. "Capt. David Smith waited upon me this day, and Communicated to me your Desire of Seeing Me in the Town of Nashville this Evening in order (as I understand him) to adjust a Disputed Matter now Existing between you and him,” Jackson wrote. Jackson warns the man to pay his debt to avoid going to court. “My advice therefore is to you to repay the money to Smith and Save the Expense [sic] of a Lawsuit which you will undoubtedly have to pay,” Jackson wrote. “Genl. Robertson can inform you that it will be the Consequence from the Statement herein which are facts and not as plainly stated as they will be proven in Court from the original bond as from [your] own agreement and Confessions." Jackson also references James Robertson, who co-founded Nashville with John Donelson around 1779. The second document by Jackson was written 20 years later, approximately six weeks after the dramatic end of the Battle of New Orleans. Dated March 3, 1815, the document authorizes payment to “Rosina, a free girl of colour” for one month’s service as a washwoman in the hospital for General John Coffee’s Brigade of Tennessee Volunteers. Rosina will be paid $10 a month, “The lowest price at which, under existing circumstances, washwomen could be procur’d,” according to the letter. The document was countersigned by the director of the hospital, David Kerr and by John Walker. Rosina added her mark to signify receipt of her salary. In contrast, he is also the only president to raise a Native American child – Lyncoya, who Jackson took in after the child was orphaned at the Battle of Tallushatche in 1813. “Jackson is a complex figure in American history,” Keever said. “He would be considered ruthless and reviled for some of his actions when judged by today’s standard, but he is also admired as a populist outsider who expanded democracy and individual liberty. Both Jackson documents are in very good condition for their age. For inquiries, contact Worthington Galleries at 615-527-7970 or visit worthintongalleries.com to browse the collection online. Worthington Galleries owns what is considered to be the largest collection of fine art in Tennessee and among the largest most comprehensive collections in the country. The Worthington collection includes important examples of paintings from all major movements including prehistoric, Renaissance, modern and contemporary as well as the works from the 17th, 18th, 19th and 20th centuries. Visit http://www.worthingtongalleries.com to browse Worthington's online inventory which is updated daily.